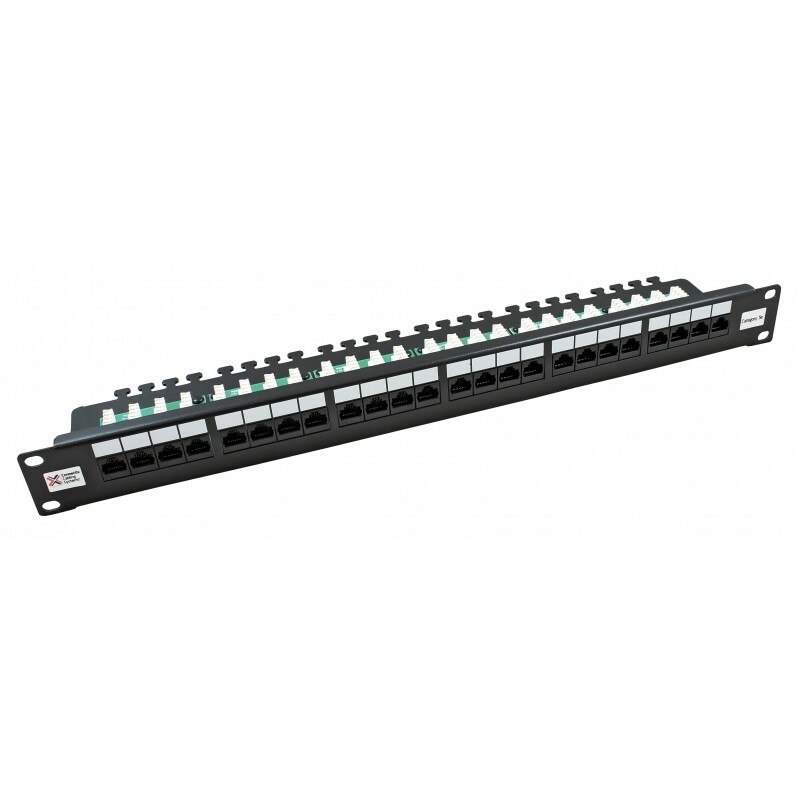 The Connectix 2020 Series Patch Panel is an alternative to The Enhanced Category 5 High Density Panel. It offers the same Enhanced Category 5 performance as the standard panel but has been designed to present the cable termination IDCs horizontally on a tray at the rear of the panel, making termination and cable management easier. surface for application of custom printed labels. This panel offers extended PowerSum characteristics and exceeds the ANSI/TIA-568-C specifications. When combined with Connectix Enhanced Category 5 Modules and UTP Cable the link will perform well in excess of the Enhanced Category 5 Specification.